See parts 1-3 also for earlier works. 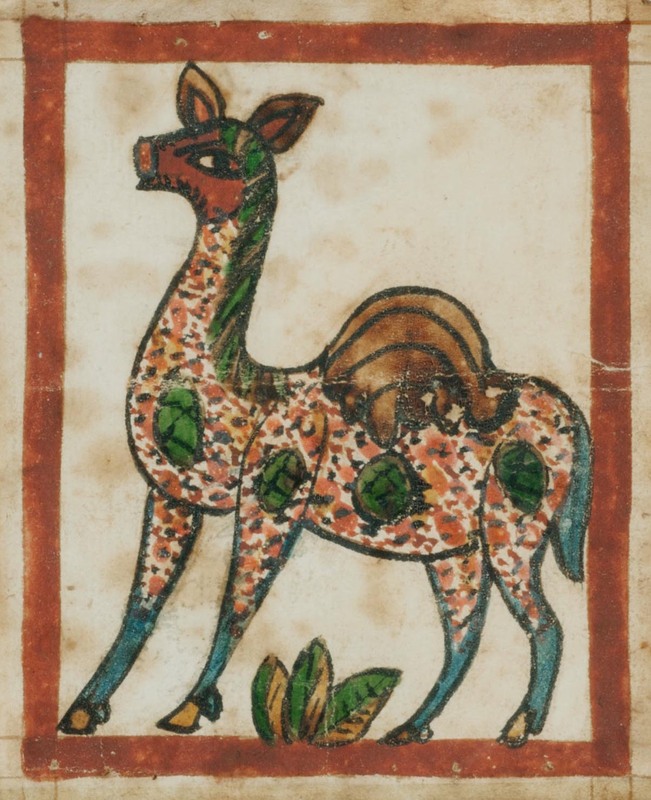 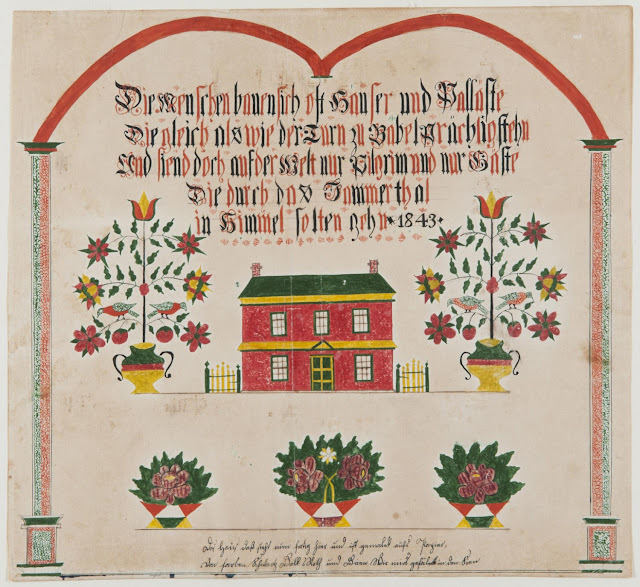 This post looks at Frakturs (see description below) and the work of scrivenors and decorators. 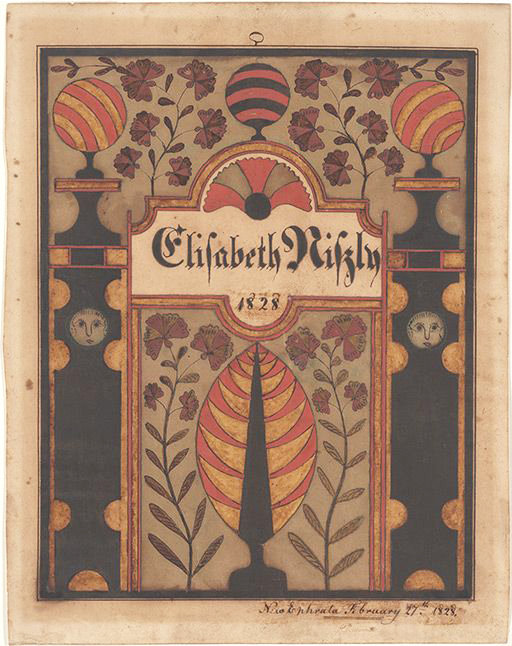 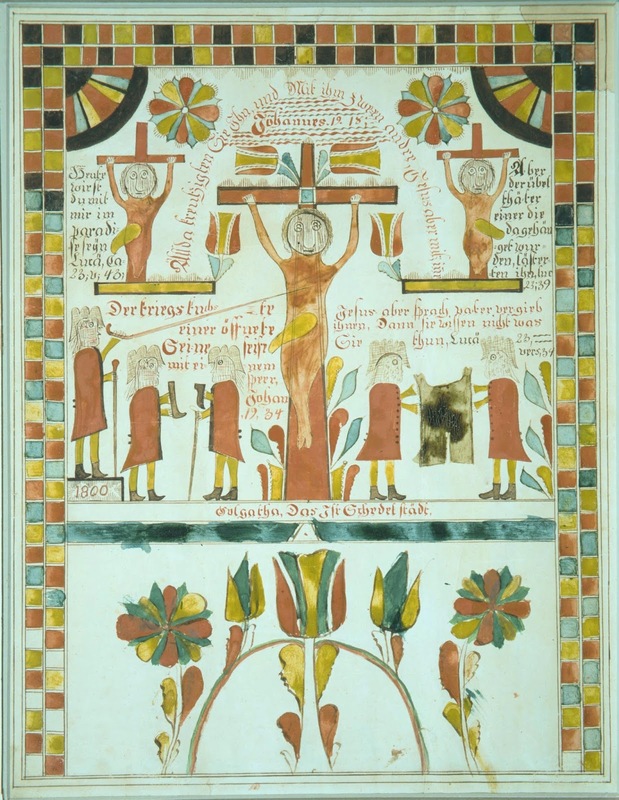 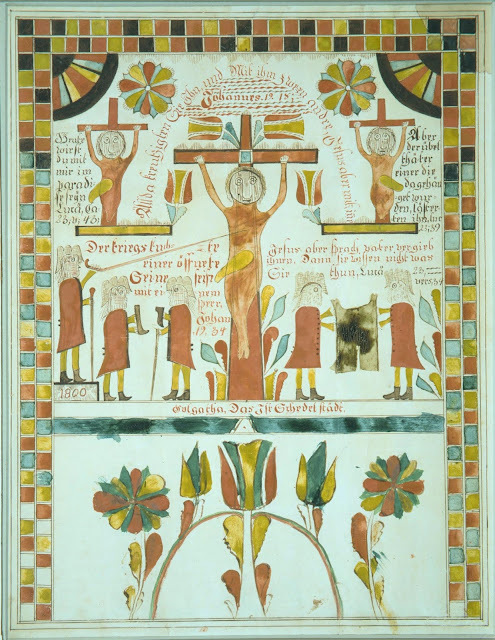 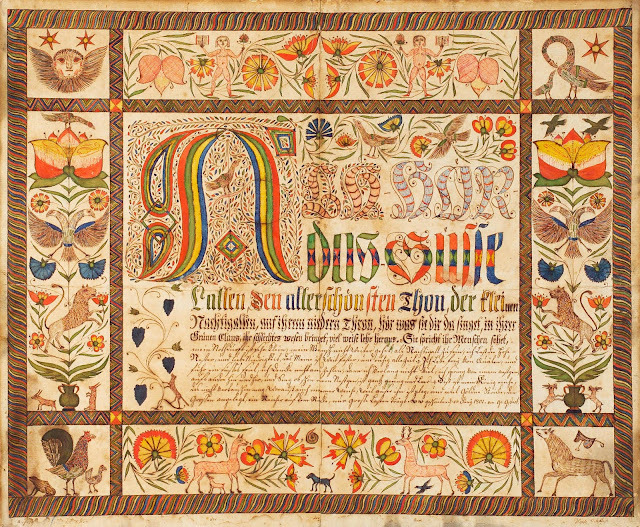 Fraktur is both a style of lettering and a highly artistic and elaborate illuminated folk art created by the Pennsylvanian German. 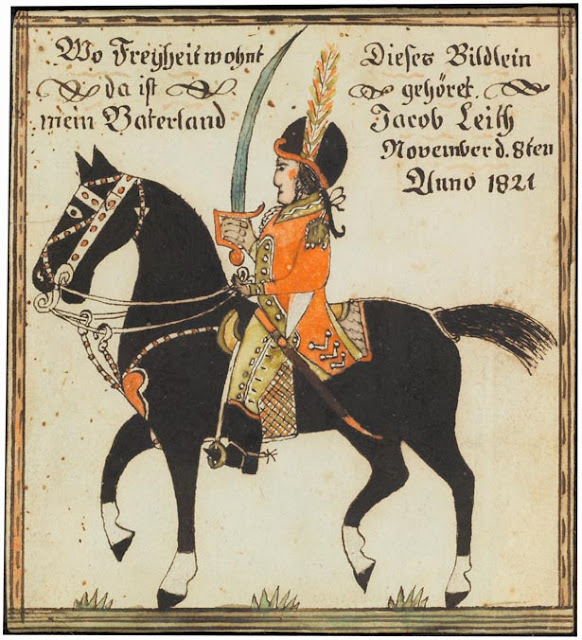 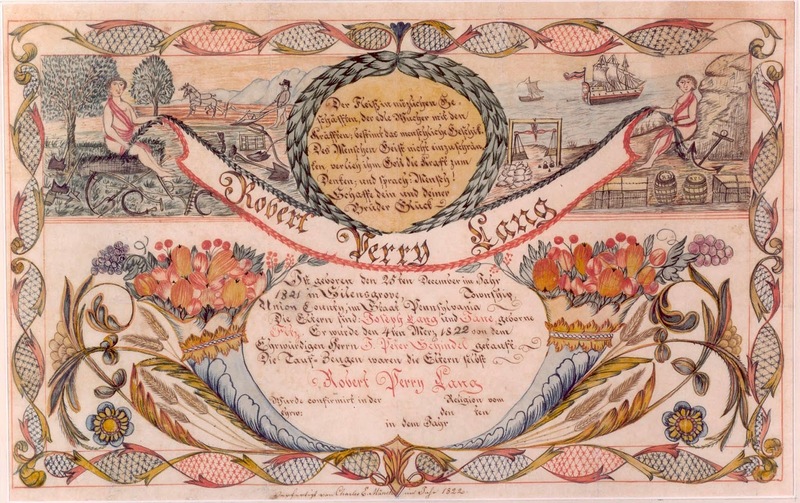 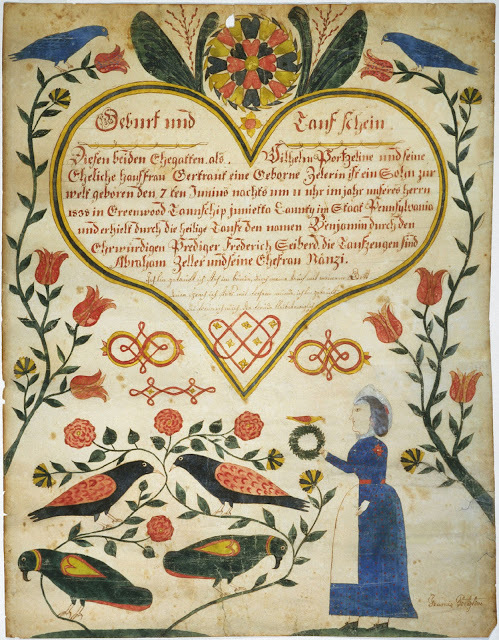 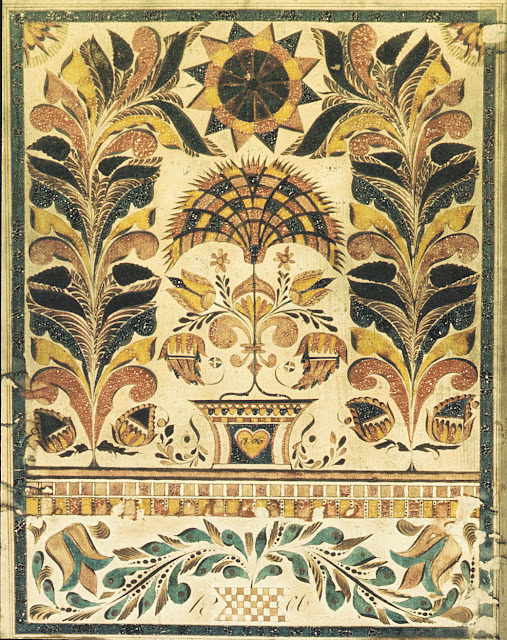 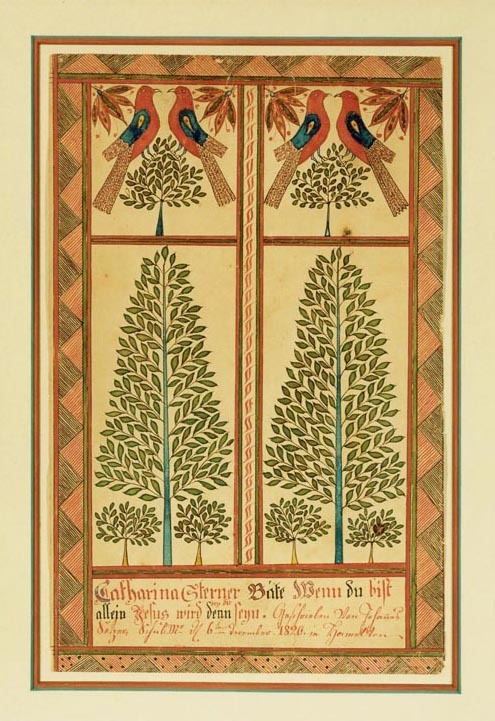 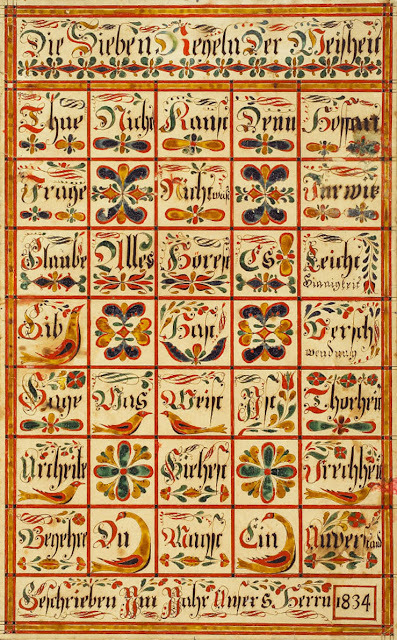 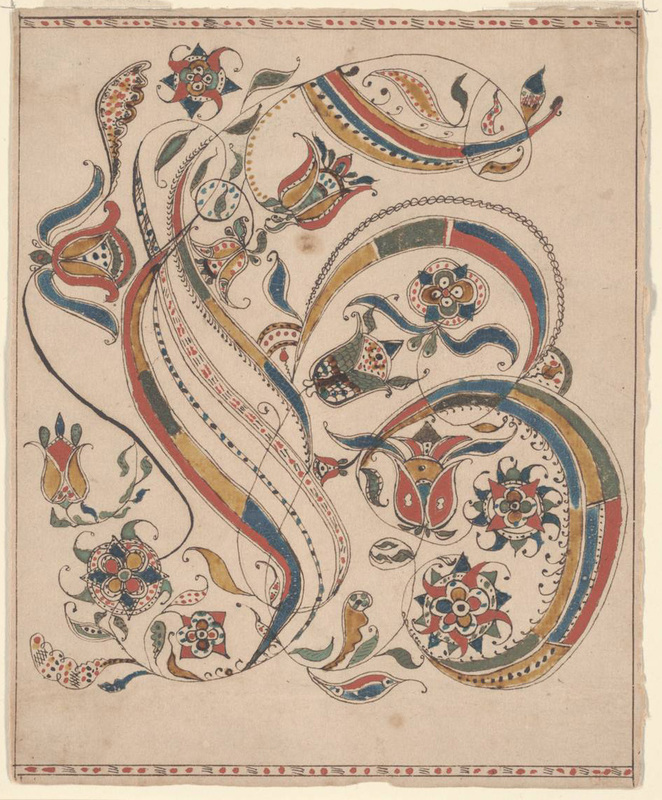 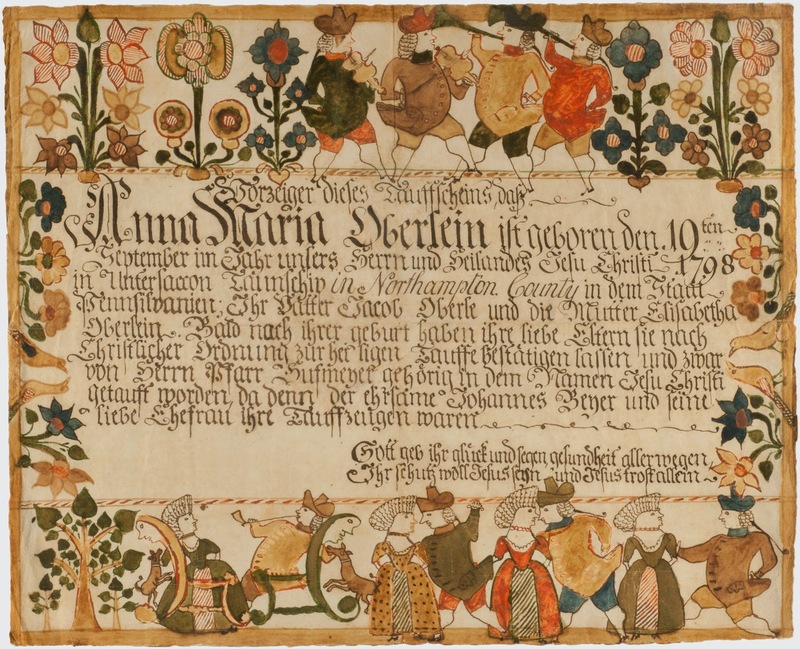 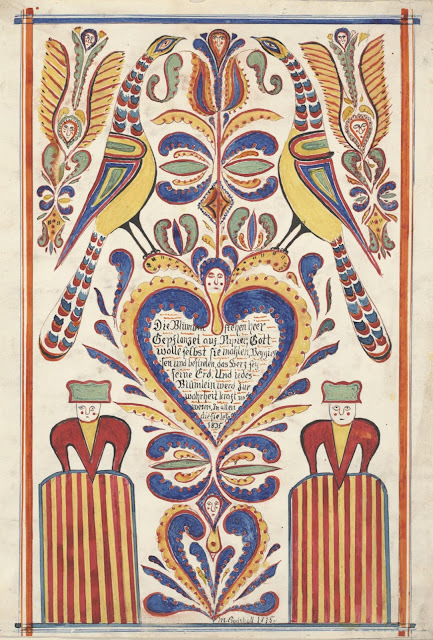 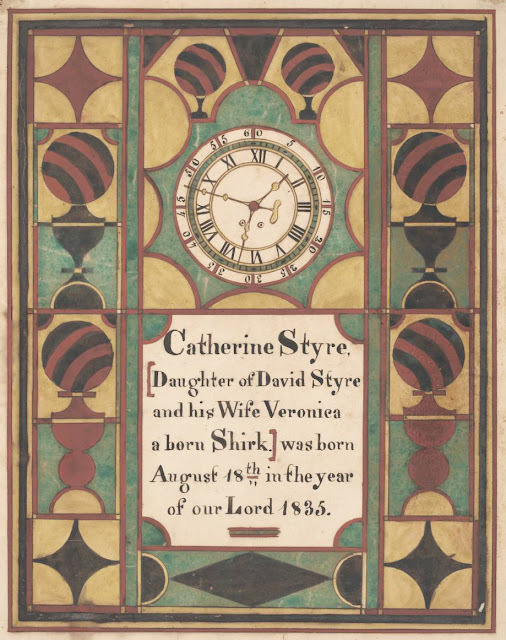 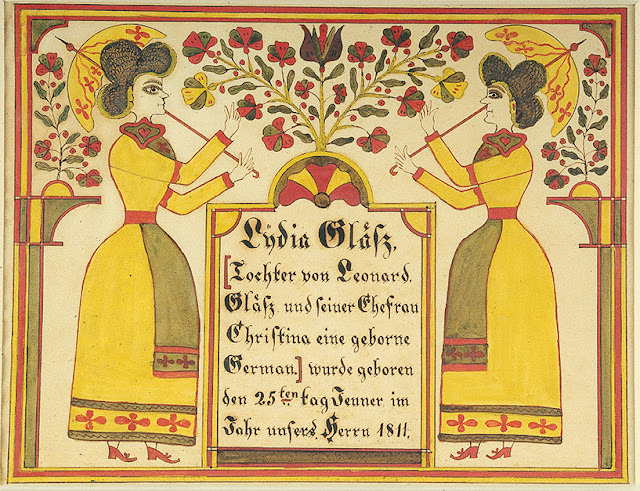 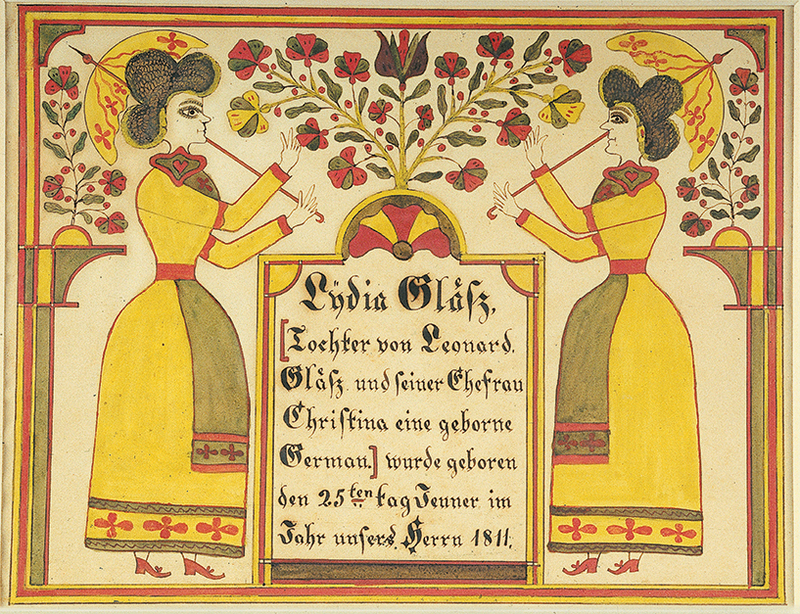 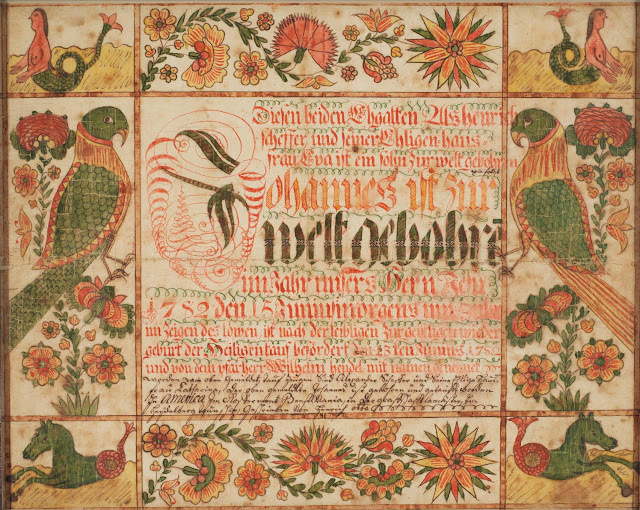 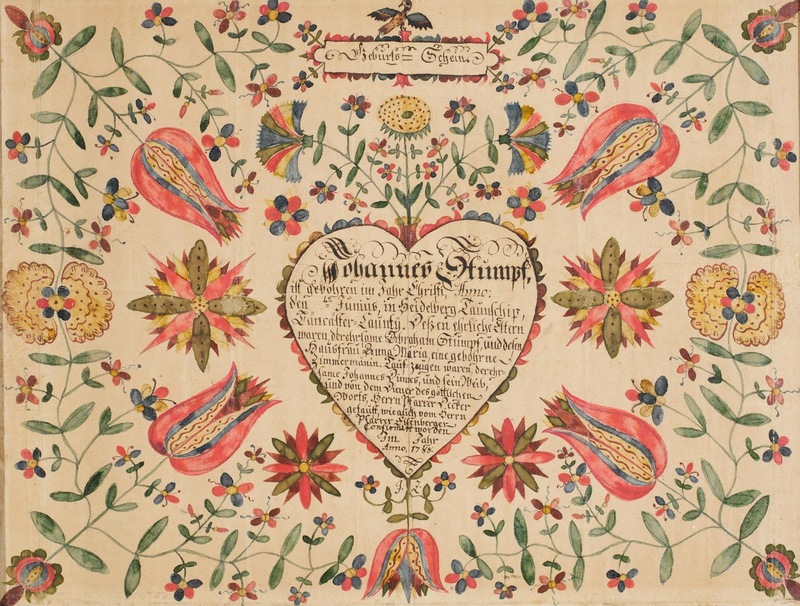 Most Fraktur were created between 1740 and 1860. 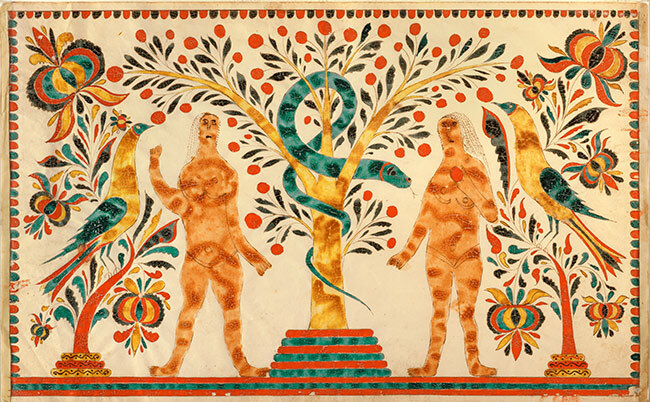 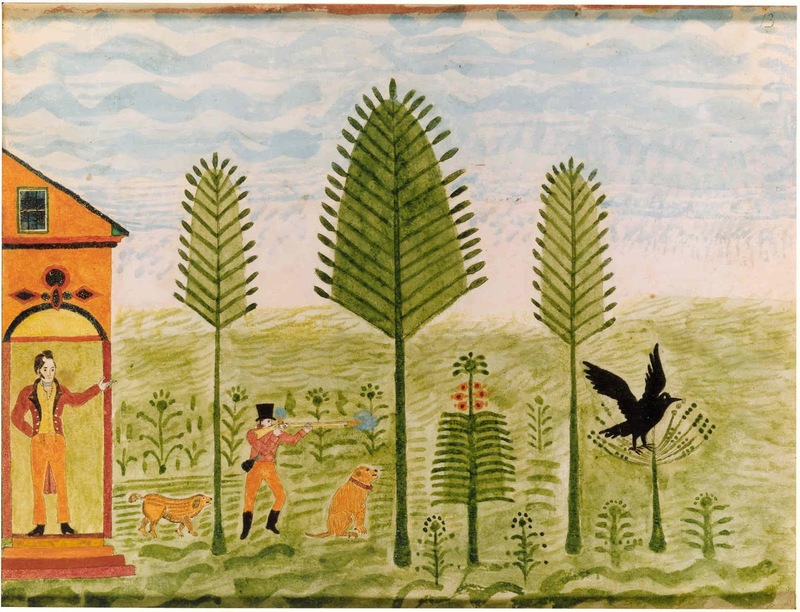 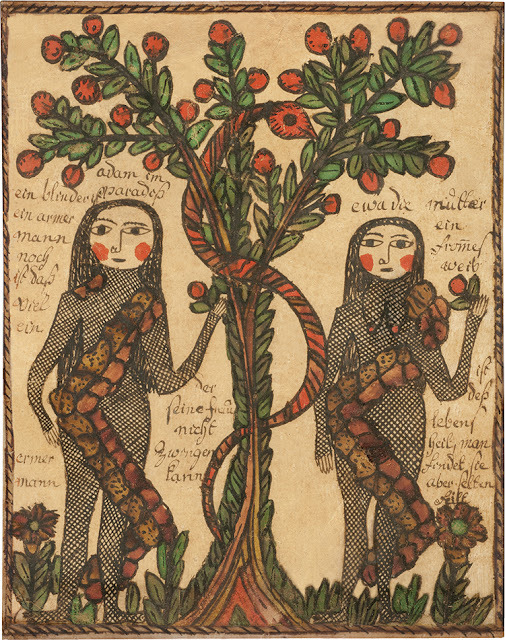 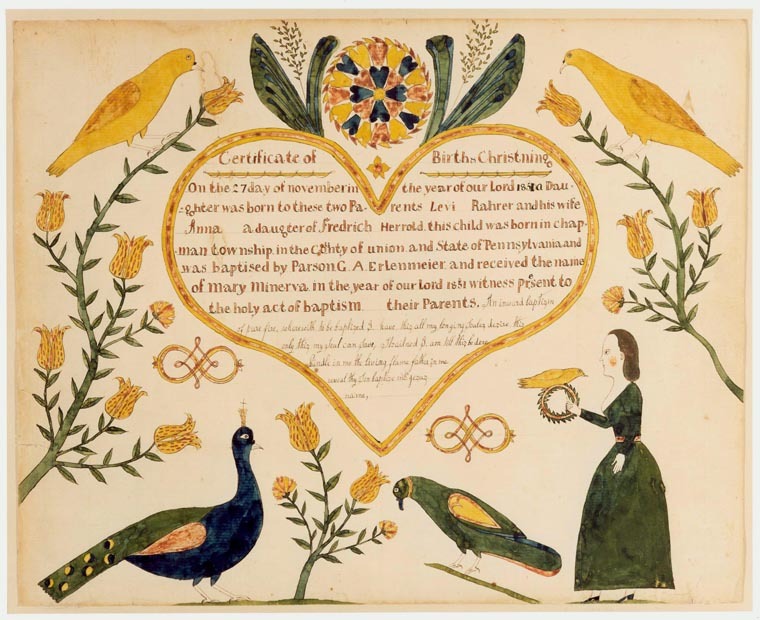 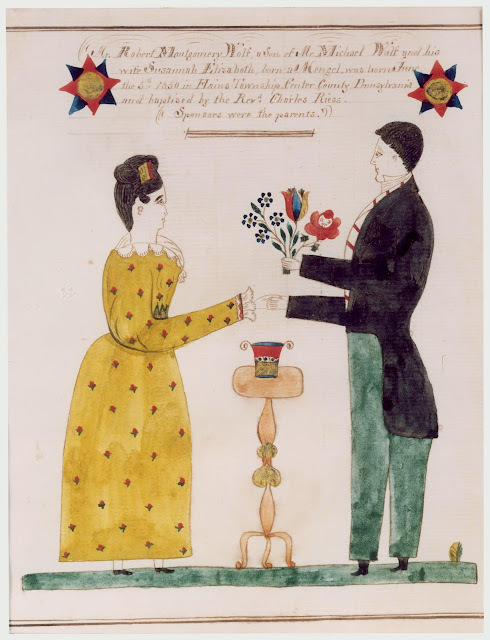 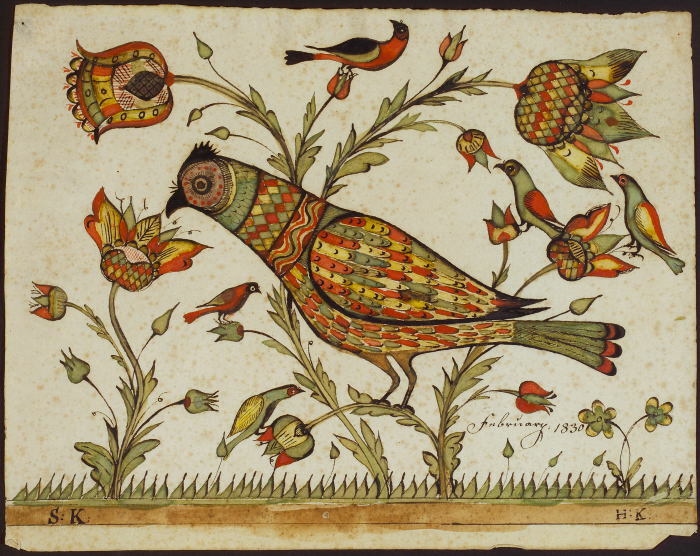 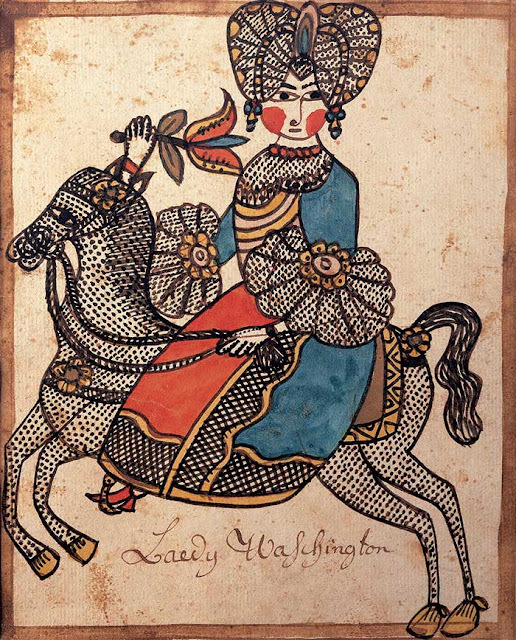 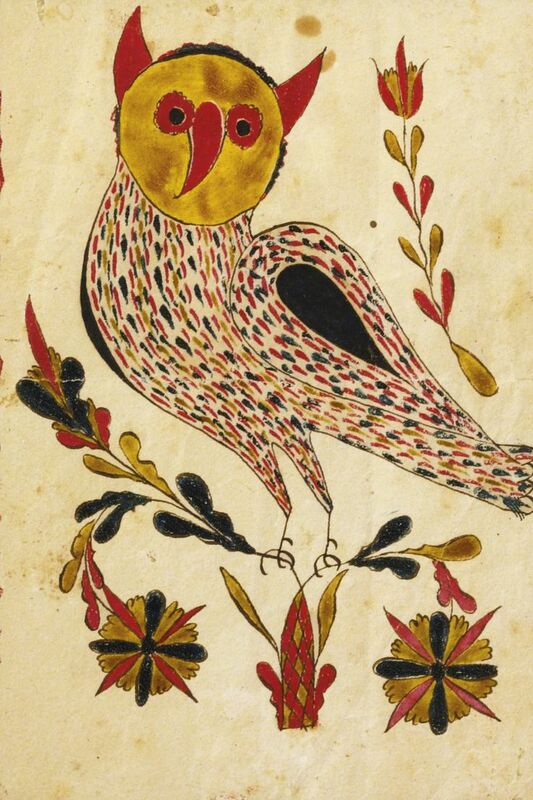 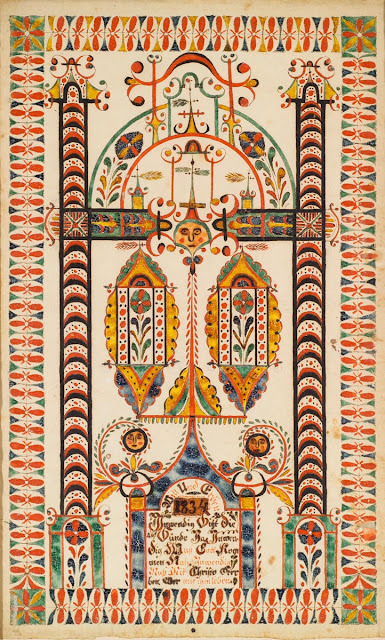 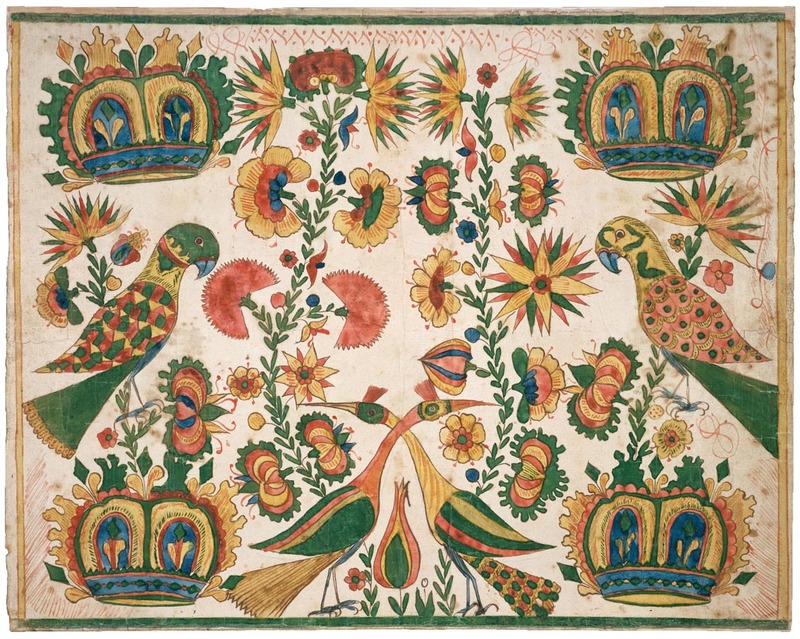 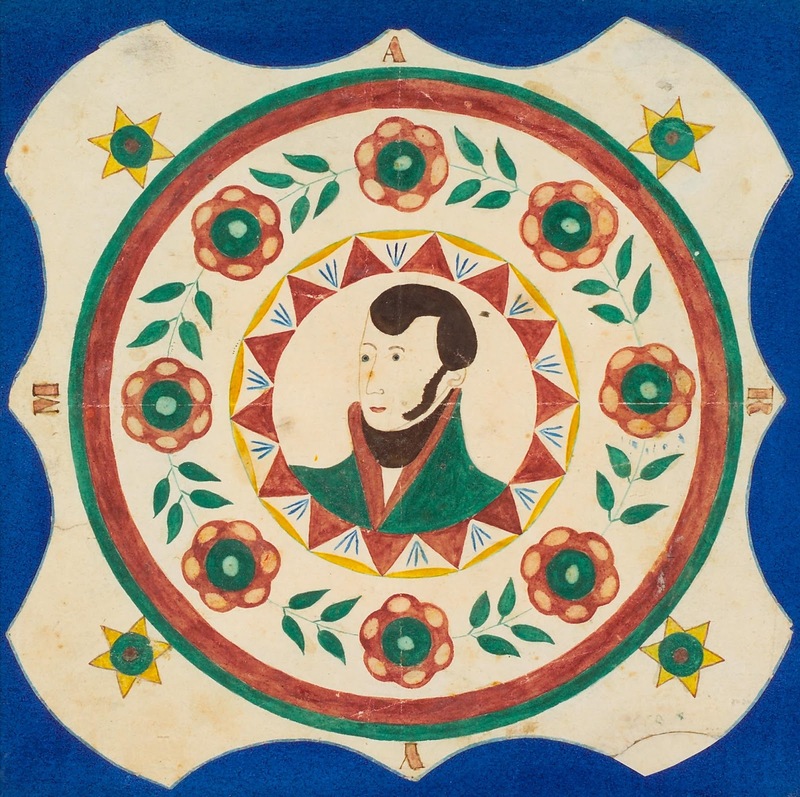 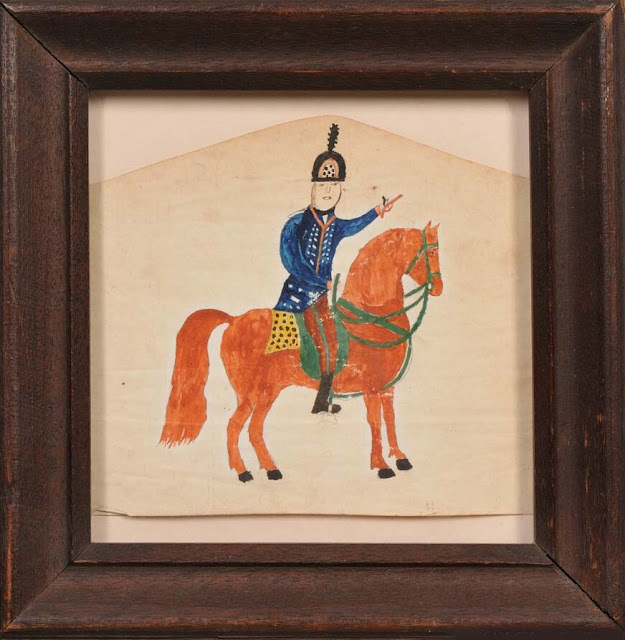 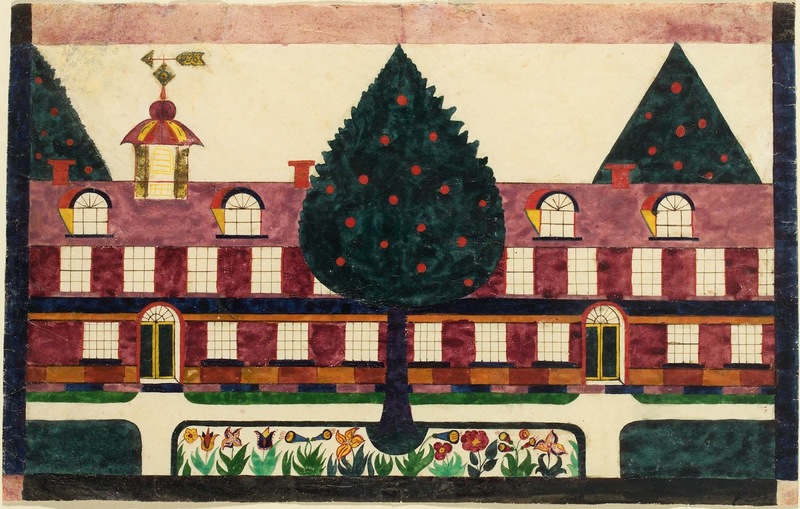 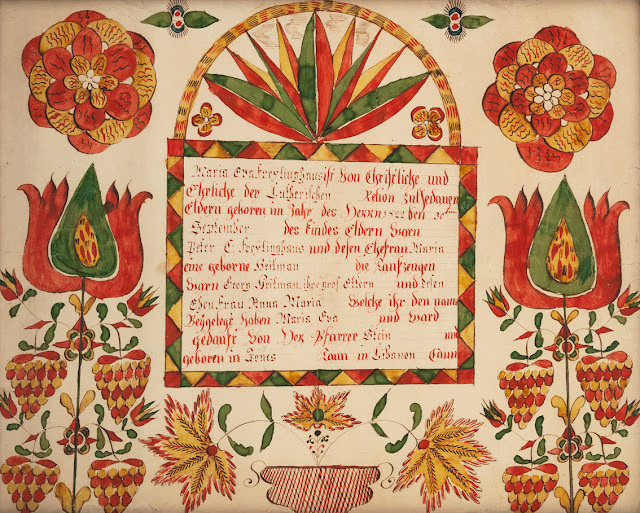 Today, many major American museums, including the American Folk Art Museum, the Metropolitan Museum of Art and the Philadelphia Museum of Art have Fraktur in their collection. 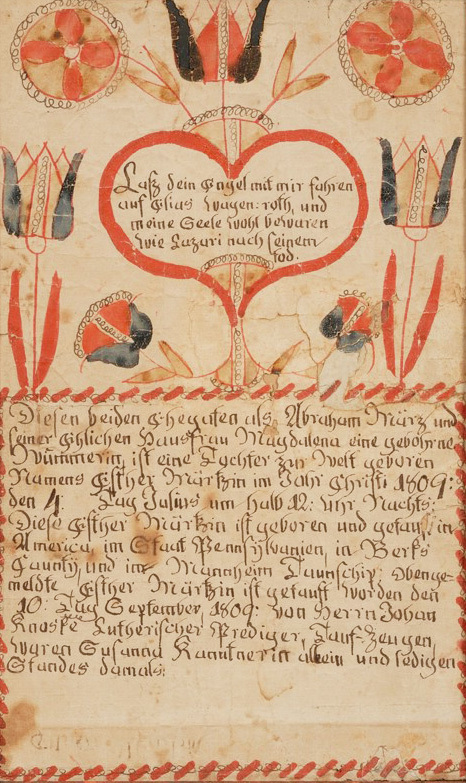 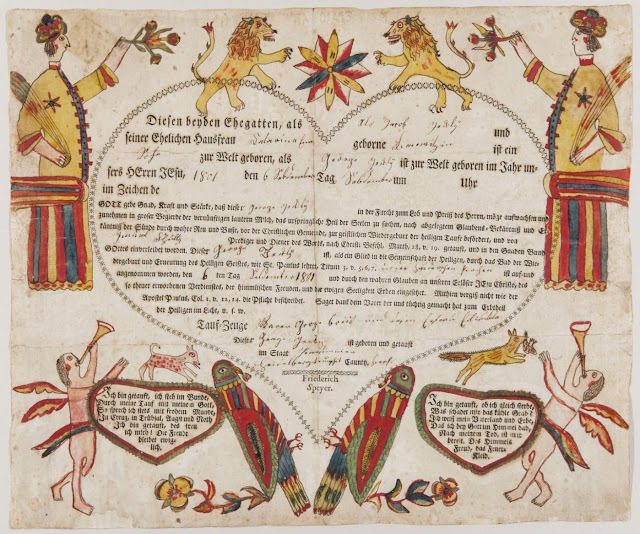 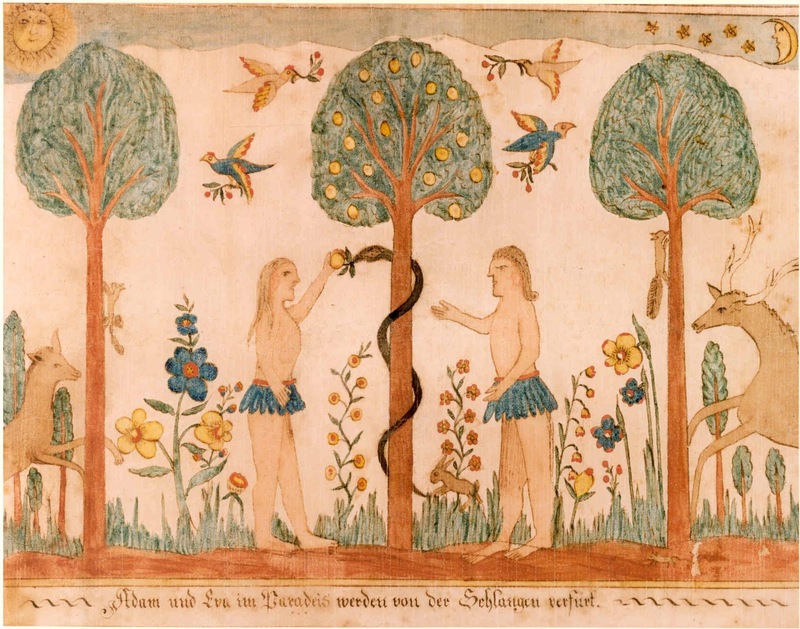 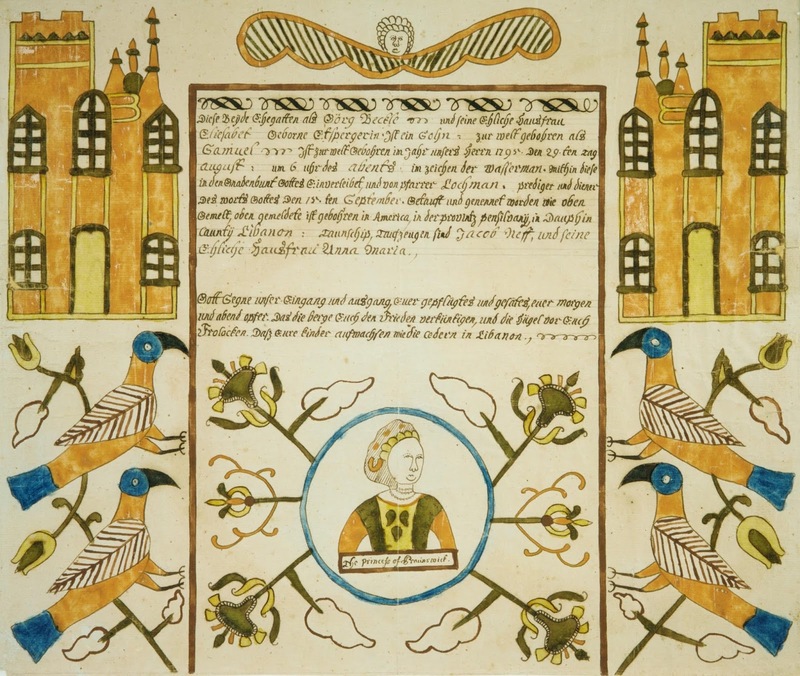 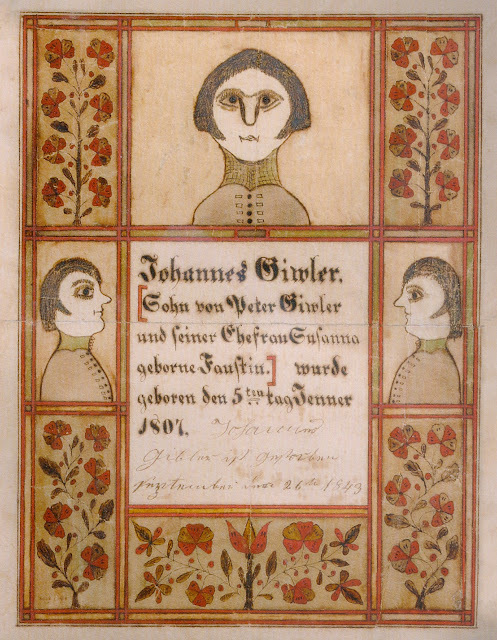 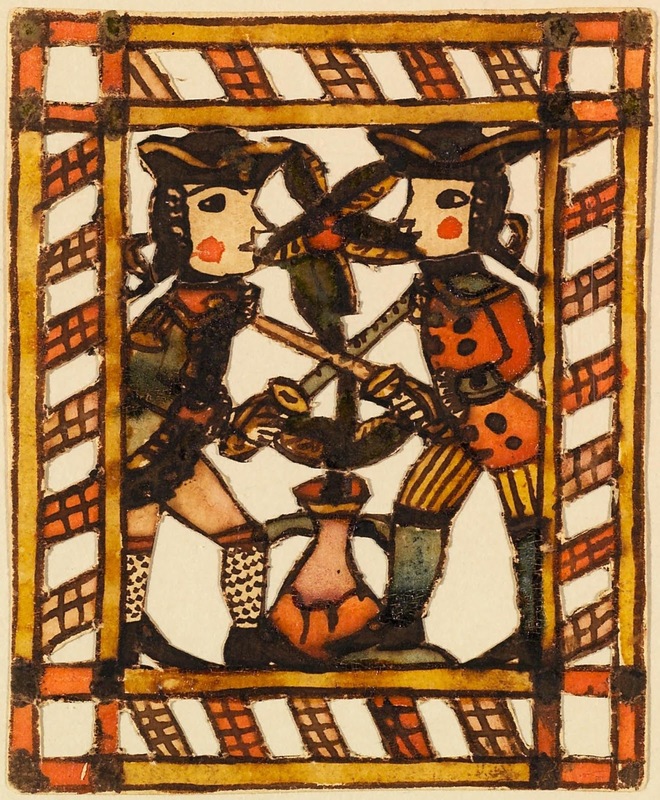 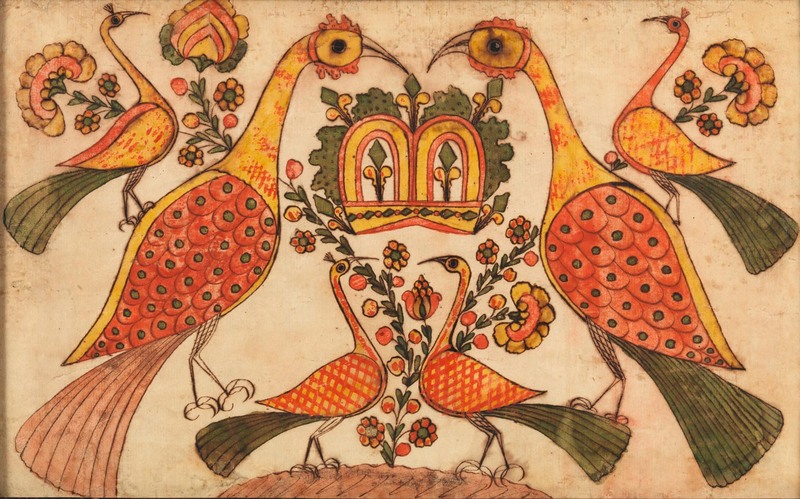 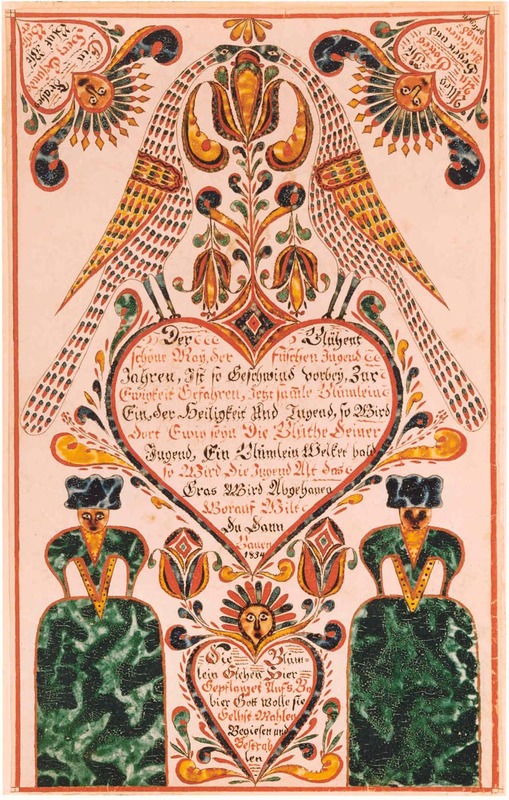 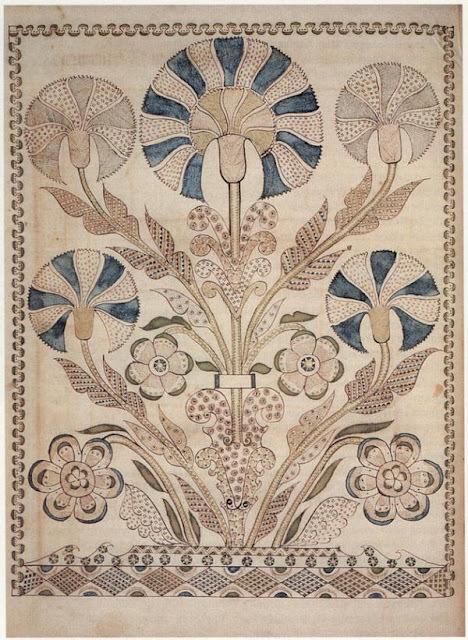 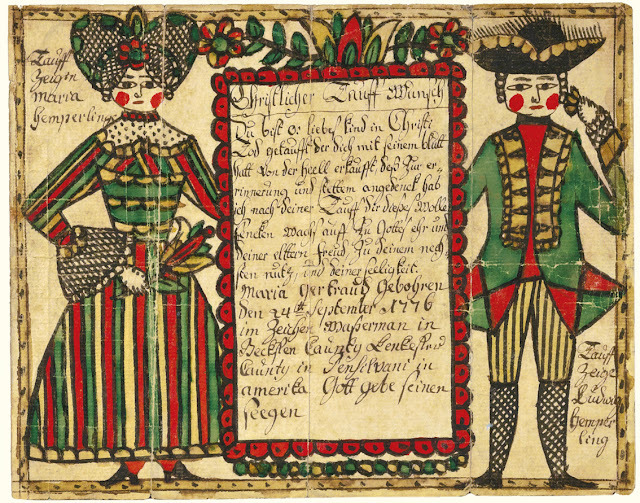 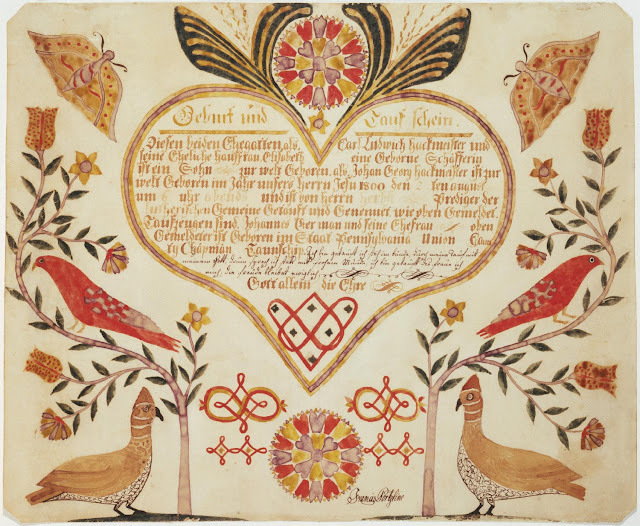 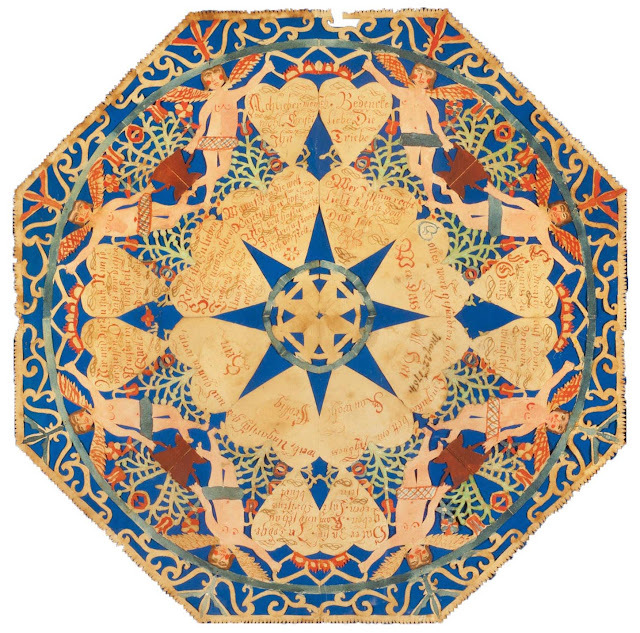 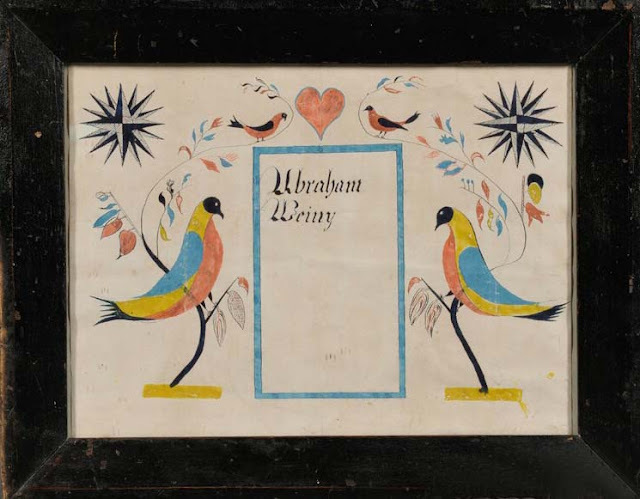 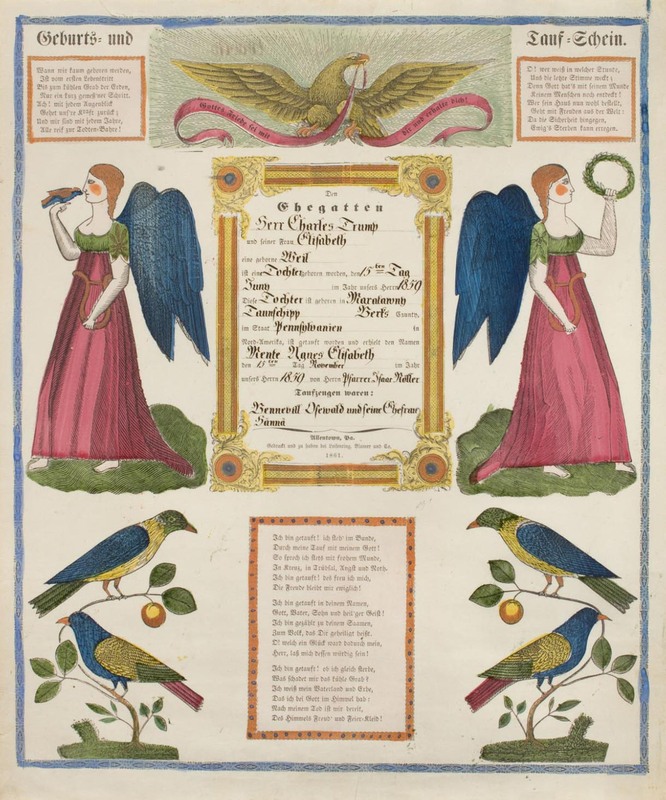 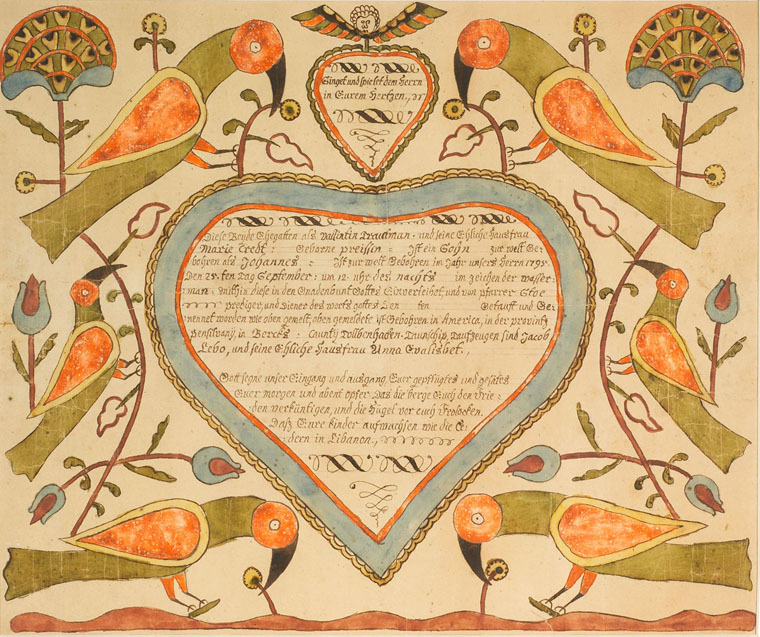 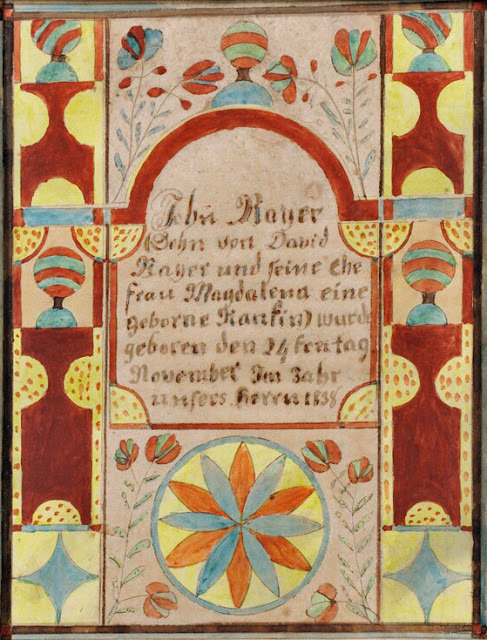 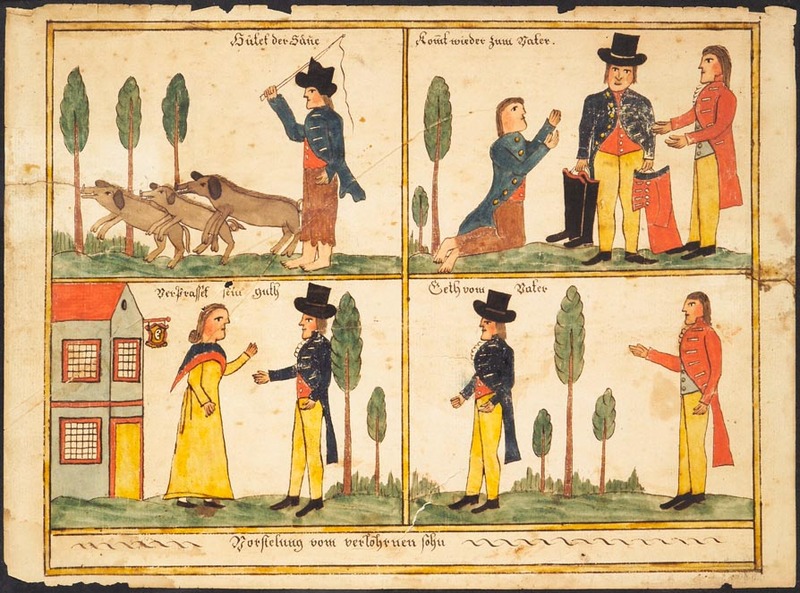 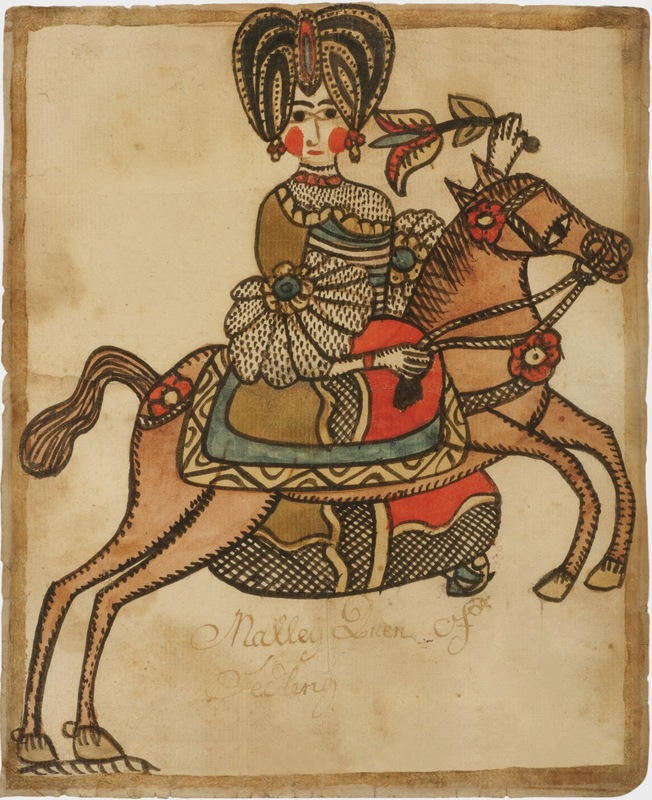 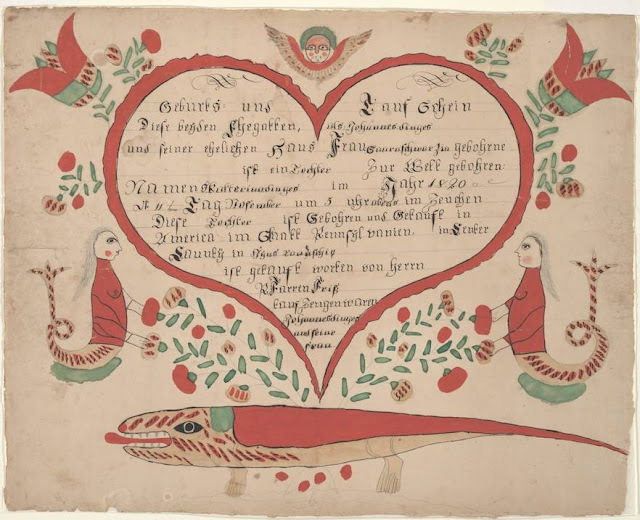 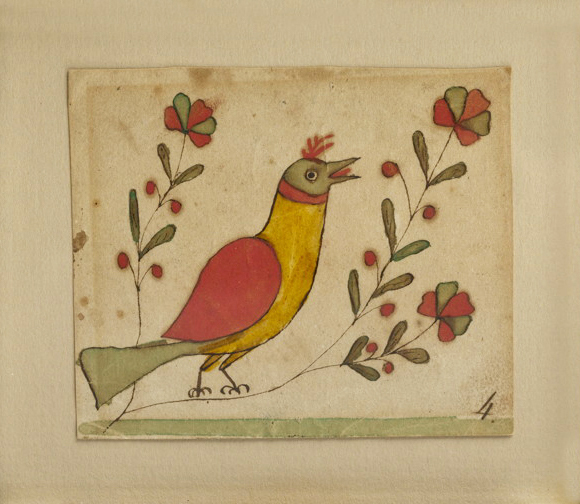 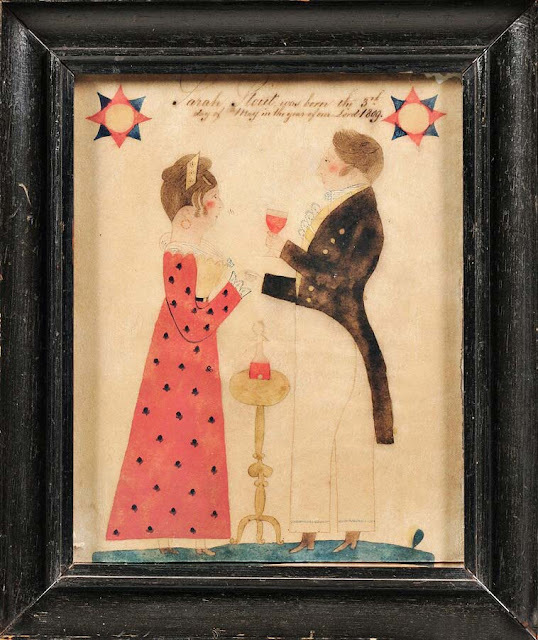 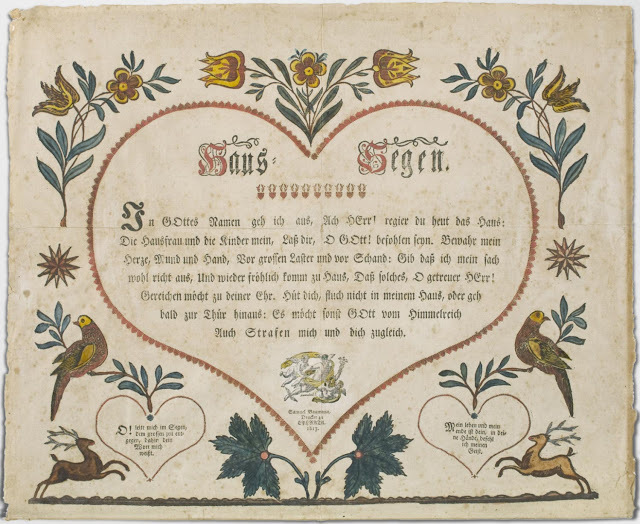 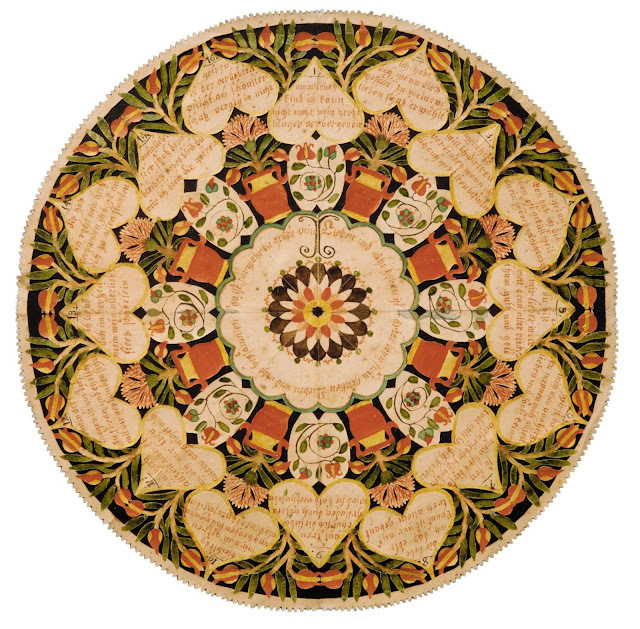 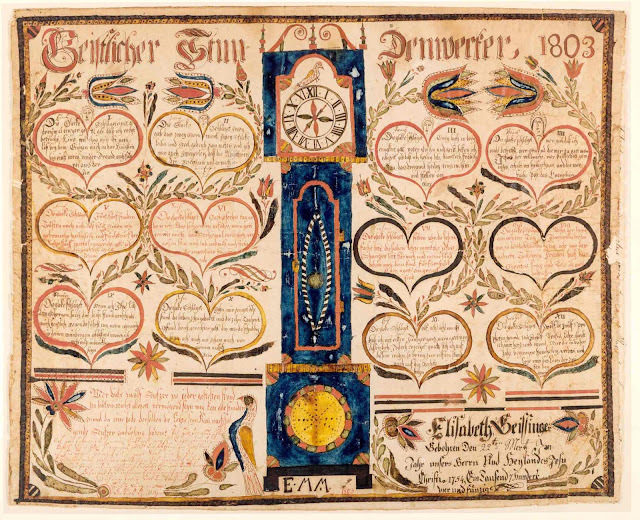 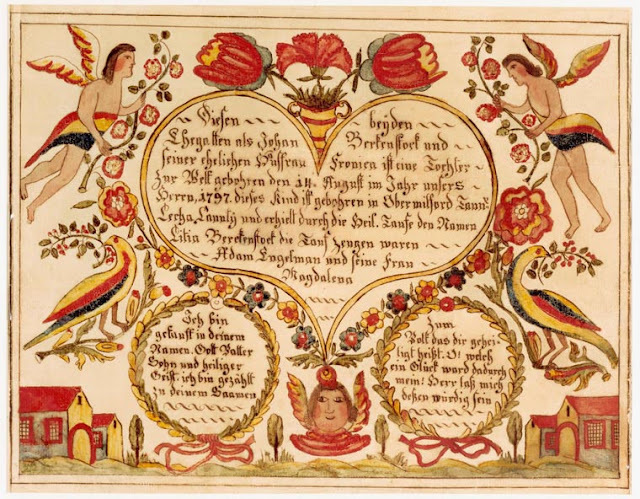 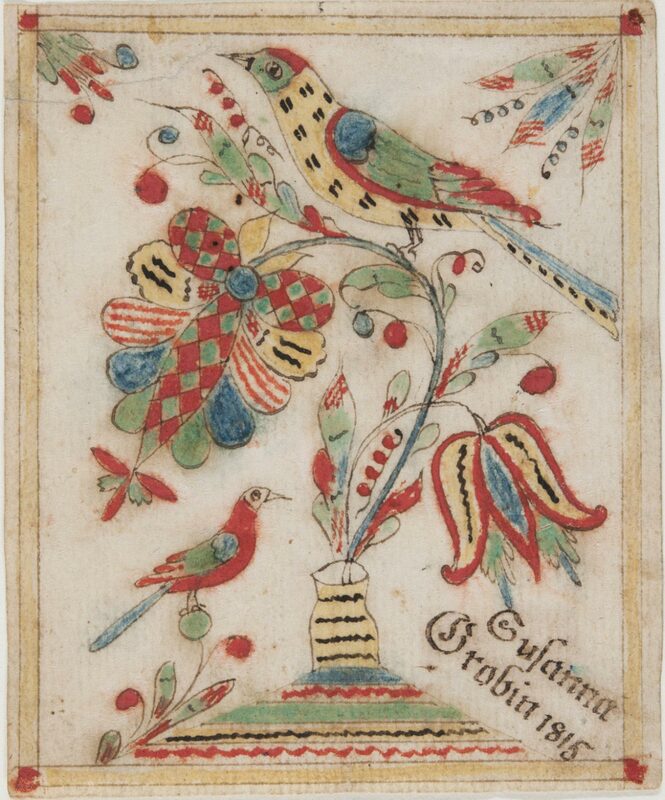 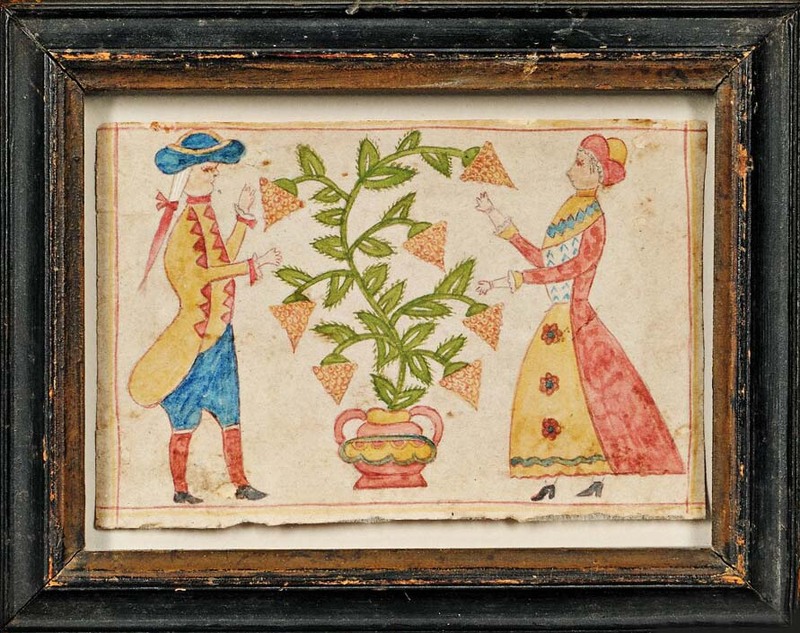 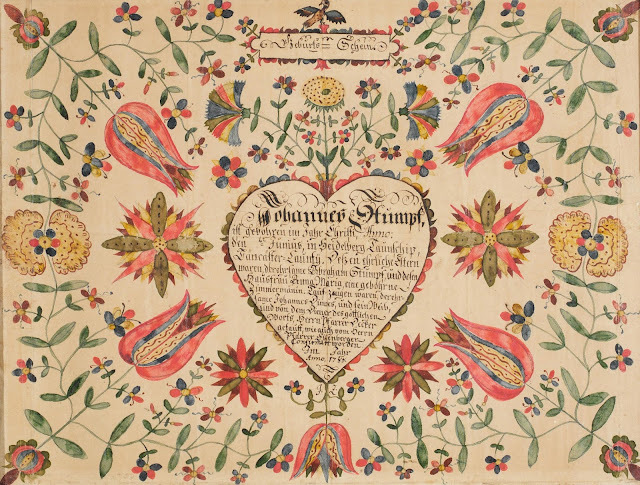 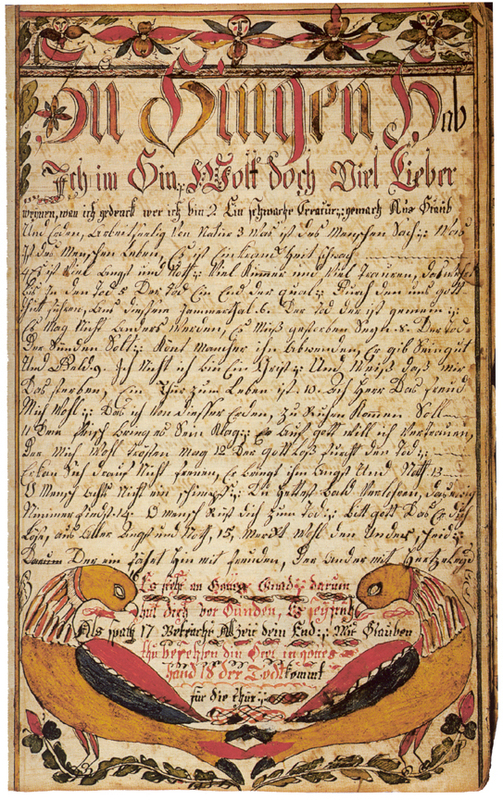 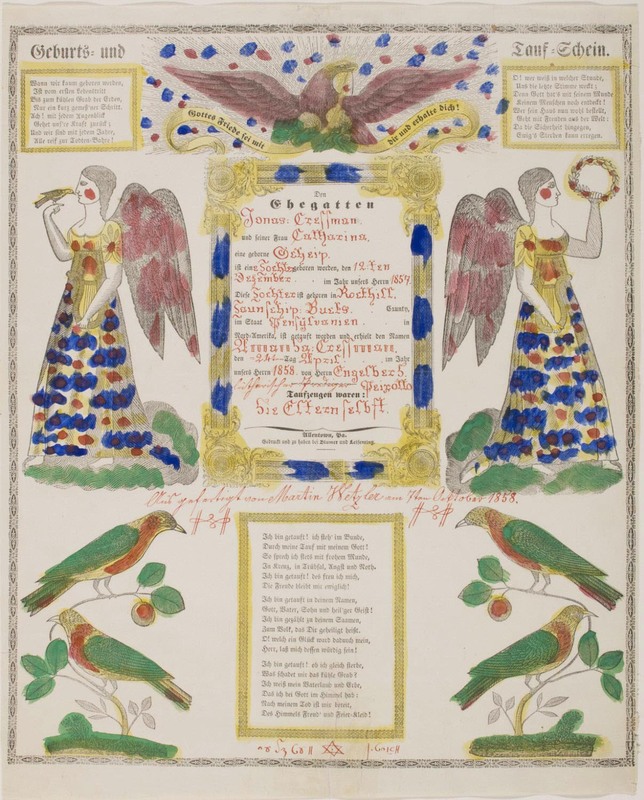 Important Fraktur have been sold by major American auction houses and antique dealers for prices in excess of $100,000. 1810c Susanna Hübner (1750-1818) Letter "H"
1830 Durs Rudy "The Prodigal Son"
1830c Johannes Bard, York County, PA "Hunting Scene"
1830c Pennsylvania Fraktur inscribed "Ubraham Weiny"
1840c Sarah Kriebel "Swenkfelder Building, PA"